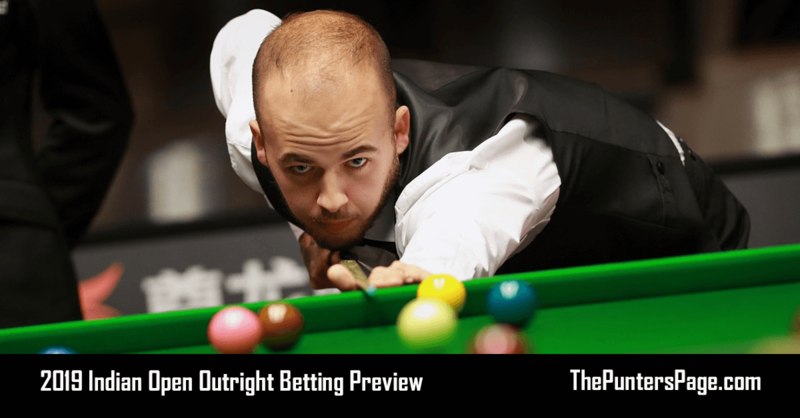 Snooker guru Craig Edwards (@EdwardsTips_) previews Monday afternoon’s Welsh Open match between Stuart Bingham and Ali Carter and provides us with his best bets. These two former Welsh Open champions lock horns in what looks the pick of the first round matches. Ali Carter travels to Wales on the back of his first major final in two years at last week’s World Grand Prix so can hardly be in better form while Stuart Bingham has been erratic all season winning the English Open, making the UK Championship semi finals, while still losing five first round matches. These two players have a rich history of match ups over the years and know each other’s games inside out. Ali Carter beat “Ball Run” Bingham when he defended his World Championship at the Crucible, since Stuart Bingham has won the last five encounters but still trails their head to head 15-9 surprisingly. 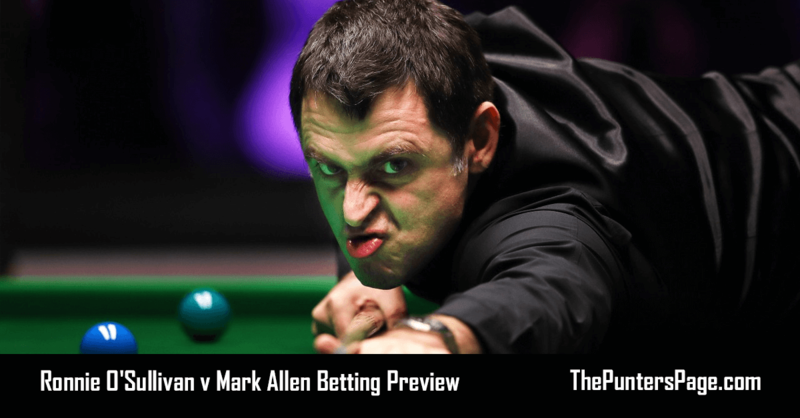 There is added spice on this match for both players and particularly Ali Carter who sits just outside the elite top 16 on the provisional ranking list to avoid pre-qualifying for Aprils World Championships. 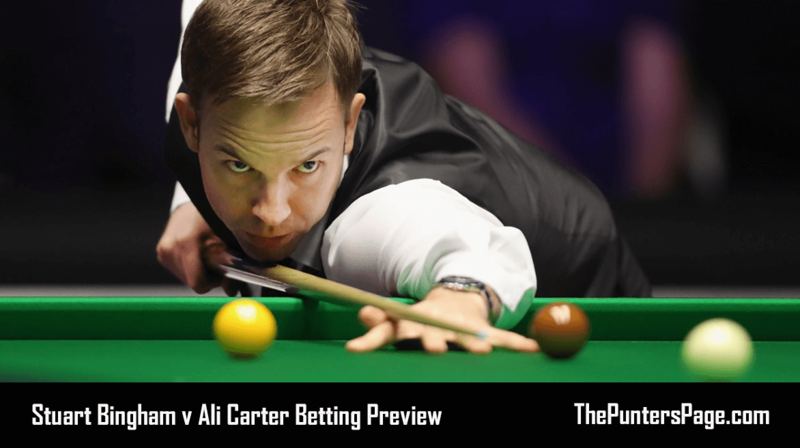 Ali Carter comes to the Motorpoint Arena with his confidence high. 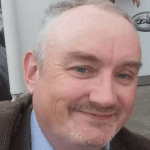 For many years he held the “Indian Sign” over Stuart Bingham and I expect Ali to cast that spell once again in Cardiff resuming normal service between these two. 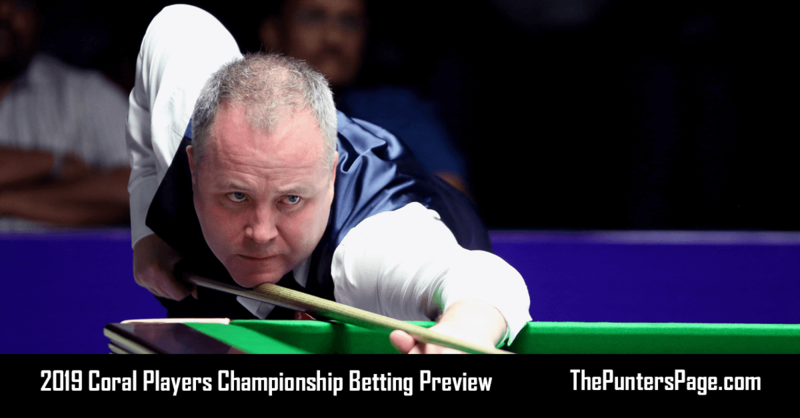 I get the distinct impression with Stuart Bingham that when he falls behind in matches currently for some reason he is lacking his normal confidence and chances are “The Captain” will expose those frailties. At 11/10 Ali Carter is a bet for me in the belief he should be the favourite . Our statistics at www.edwards-tips.co.uk for this match show the chance for under 5.5 frames at 2.16, some bookmakers go as high as 2.5 however, Bet365 have the asian option at 5.75 frames that gives us the safety of only losing half stake at 6 frames.